Ukrtranshaz will be reassigned directly to Naftohaz Ukrayiny's main shareholder, the government. 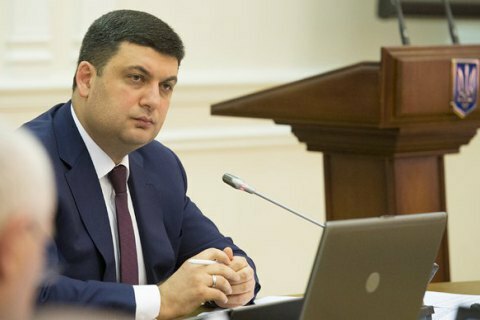 Prime Minister Volodymyr Groysman on 19 September cancelled the 7 September move by the Economic Development Ministry that subordinated Ukrtranshaz to the ministry, RBC-Ukraine reported citing a source in the Cabinet of Ministers. "The order is canceled, but Ukrtranshaz will be eventually reassigned directly to the Naftohaz shareholder , i.e. the government," said the source. It is assumed that Ukrtranshaz will come under the control of the Cabinet of Ministers after a decision of the Stockholm arbitration. The Ministry of Economic Development on 7 September adopted changes to the charter of Naftohaz Ukrayiny, in fact assuming control over Ukrtranshaz. After the scandal, ministry explained the decision by the need to fulfil obligations under the Third Energy Package of the European Union. Naftohaz, in response, said that the decision in fact jeopardises future loans for the purchase of gas for the upcoming heating season. “As a result of the unlawful actions of the ministry’s high officials, Naftohaz may not be able to receive a 500m-dollar loan from the World Bank, which is crucial for ensuring secure gas supplies during the winter of 2016-17 in Ukraine,” Naftohaz said in a statement. Additional financing from the European Bank for Reconstruction and Development also hangs in the balance.